An interesting exchange of views between myself and @janzin had me thinking about what is acceptable and what isn't when it comes to getting that shot. Below are some pictures I have taken over the years and you have to guess which ones had a little help from me to make them happen! Pretty easy wasn't it, the answer is , to a greater or lesser extent , all of them. 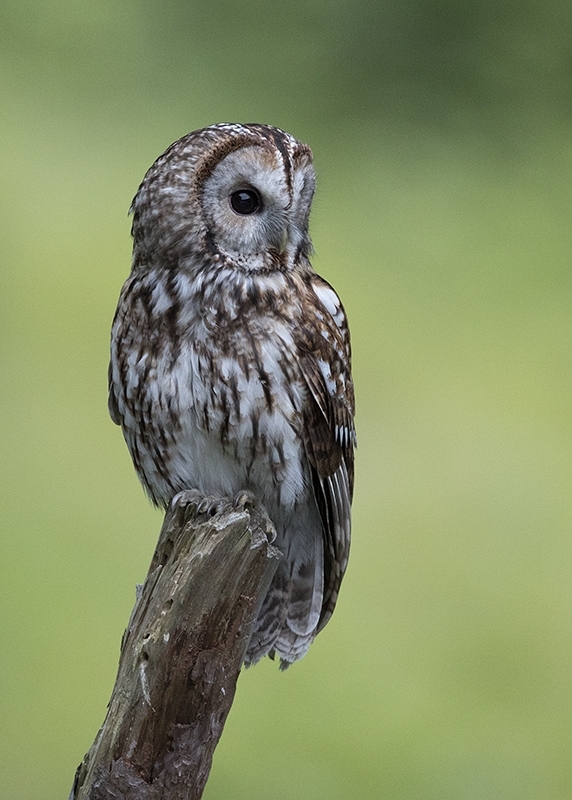 1)The Tawny Owl is sat on a perch I put in the garden, hoping that there might be a Bank Vole feeding on the seeds that have dropped from the bird feeders. 2)The Nuthatch is actually on a bird feeder, as is a totally contrived shot but it gave me a lot of satisfaction achieving this classic pose particularly as it was taken from the comfort of our house! Take one log, cut a deep wedge out of it and insert the wire mesh part of a feeder filled with peanuts in to the groove. Angle the log so you don't see the feeder...sit back and wait! 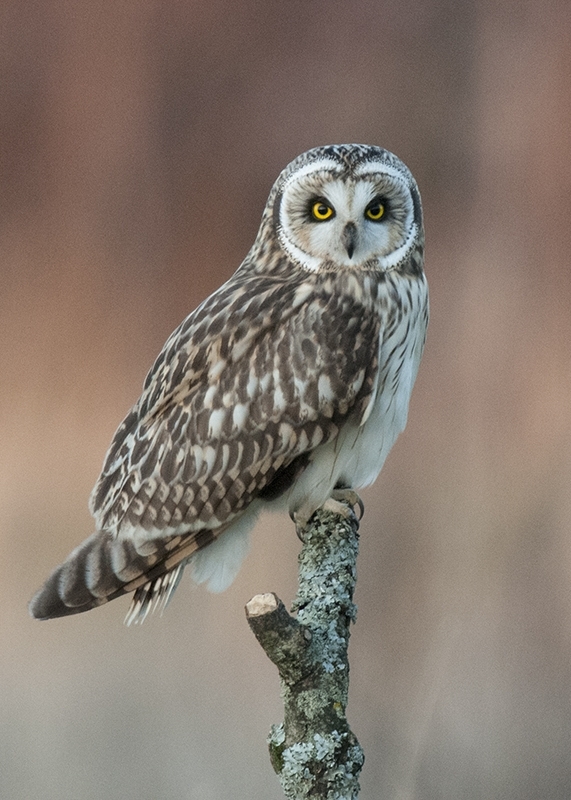 3)The Short Eared Owl is probably the least contrived in as much as the perch has been deliberately placed in the fields the Owl hunted in.No food other than natural prey is available but perches were in short supply for the Owl to rest on so it was easy to provide one! 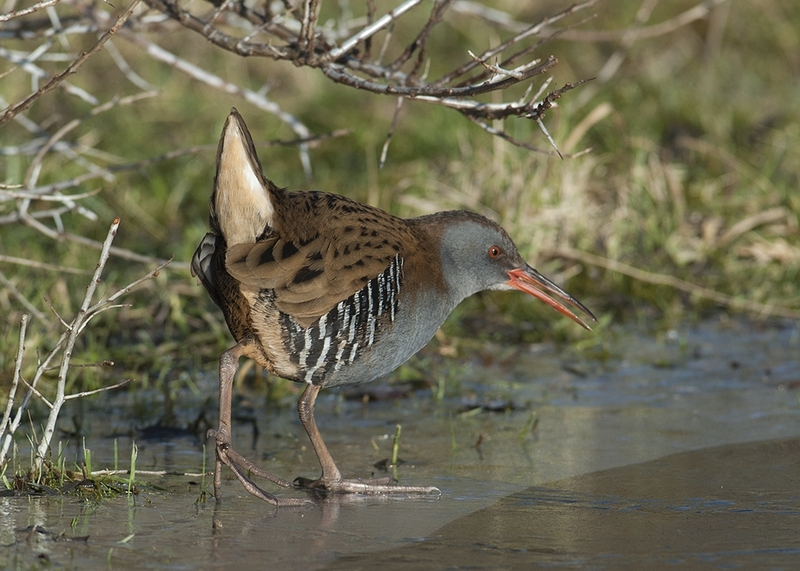 4) The Water Rail is totally staged in as much these shy birds are pretty difficult to see most of the time but when the weather drops to freezing they will come out of the reed beds if food is easily available.Just out of shot and on the ice there are some sunflower hearts that I have put down . So you can make your own minds up as to weather you consider this trickery acceptable. I think it would be dangerous to make a judgement call - Trickery for photos is one topic, interfering with nature in the process is another. And the two can be linked or not. Isnt planting a real tree also fiddling with nature? Actually you and me just being here is probably fiddling with nature. If there is no negative effect - everything goes. But I suppose we don't always know the answer to that question. For a wild bird I think a perch to rest on and/or food is a fair payment for an image. As for the extended use of call playback and fake mouse lures etc .... It turns my stomach. I agree. I believe anything that makes a bird expend significant energy, especially when food is scarce, should carry a reward for the bird. In other words, something that seems to be food, should be, and something that sounds like a mate or an enemy should be. When putting out food (or water), it goes without saying that such should be safe for consumption, and if you do it regularly then you need to keep on doing it. But then it also needs to be done in such a way that your bird feeder doesn't become a feeder for the neighborhood cats in the process. Cats aren't a problem as our nearest neighbours are some distance away and don't have a cat anyway @Peter Connan but we do get visited by a pair of local Sparrowhawks now and again. 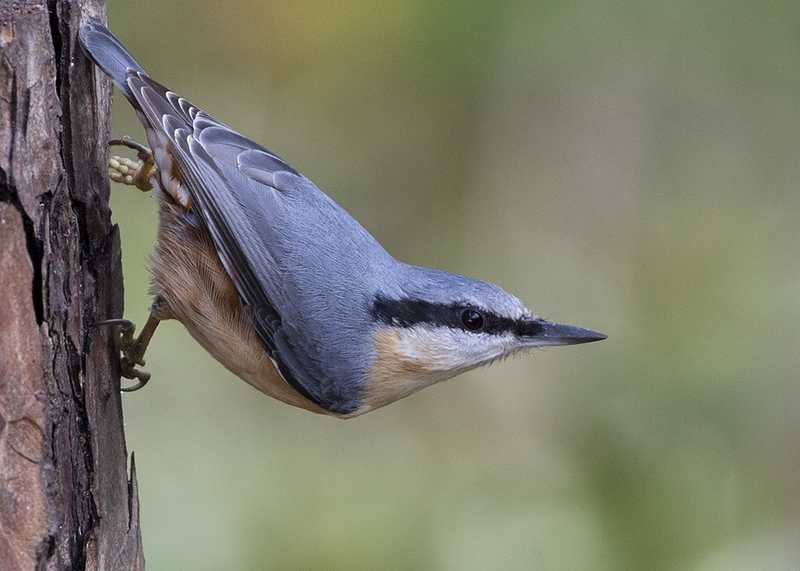 This one is sat on the log that I used for my Nuthatch shot, you can see the wedge I have cut out. I have seen them try to catch a bird on numerous occasions of the years but only successful once.By having my main feeder suspended over a dense cotoneaster bush the birds can easily drop in and hide much to the frustration of the Sparrowhawk who sits waiting to see if one flies. The picture I posted last night on my BY thread was another engineered shot too. 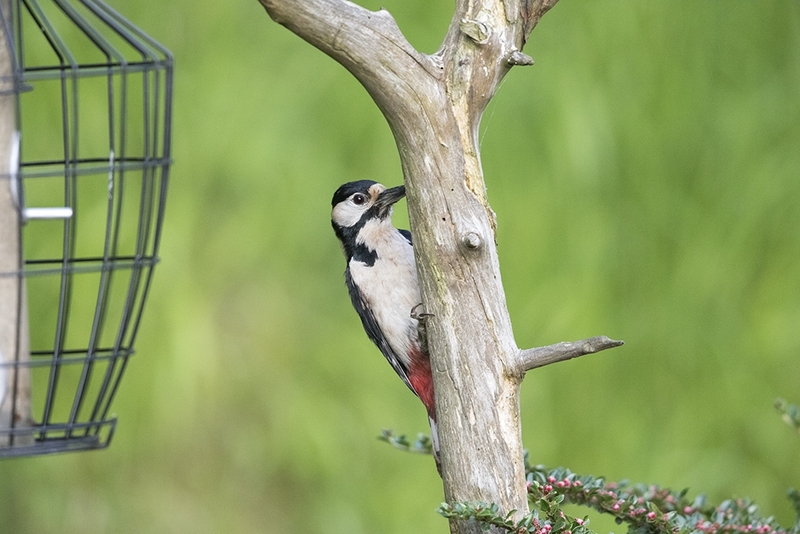 The feeder is attached to a dead branch rather than an unattractive metal pole, the Woodpecker hops back and forth to the small perch to eat the sunflower hearts. @Geoff Never mind fake mice, I used a pro hide that fed real mice to attract Shrikes. I was asked in advance if this was acceptable to me and I said it was OK but I won't do that again as I found the whole process a bit too brutal. That said there's an Owl centre just down the road from where we live and they are fed with dead chicks every day and I regularly dine on chicken too. When it comes to playing calls the use of "extended" can be extremely open to interpretation too.I have very limited experience, I don't use the practice myself but where I have seen it used the result is usually fairly instantaneous but if it isn't then it also appears a waste of time to persist. I used a pro hide that fed real mice to attract Shrikes. Hmm, when I mentioned food as a payment/reward I was thinking seeds, grains, fruit & maybe meat or fish pieces. The thought of a poor animal being fed to another creature just for the sake of an image doesn't sit right with me. In truth I guess there isn't a lot of difference between meat and fish pieces and the whole animal. We kid ourselves when we see pre-packed offerings in the supermarket believing they are not related to those creatures we see roaming the fields. I usually go on a fishing trip once a year where we catch fish purely to feed the birds. Maybe this isn't right either but it's strange how many "vegetarians" only eat fish. Somehow we again don't see fish in the same light as other animals. At the end of the day these gannets will survive on fish anyway, I guess for one day we just make their job easier. On the other hand these truly habituated Pelicans seen on a trip to Walvis Bay,Namibia respond to the whistle and fly in for their dinner. The more you think about it the more you realise that we are all involved to some degree in altering the natural course of nature. I'm not sure how much energy is wasted responding to calls to be honest.When you watch the amount of energy put in to announcing their presence singing on a branch or reed bed anyway it probably makes little difference. What would be wrong though would be to drive the bird away from it's territory by a perceived but false electronic threat. I know that on occasions some people are blamed for flushing a bird but it's usually only mentioned if it's some rarity that maybe someone else has been watching but the complainant didn't give a damn about all the local birds that had flown from their path as they went to seek out this rarity. There really are so many double standards in this hobby of ours and all too often a "holier-than-thou" attitude" too. The more I examine my own practices the more I have to accept my own guilt. I would agree that perches or feeders for birds are not stressing the animal and of course in the case of bird feeders in most cases do more good than harm. But I definitely draw the line at anything that puts stress on the animal (bird or otherwise), or puts it in a dangerous situation by habituating it to humans, such as possibly the case of the bear hide that Dave visited (which started this discussion--the jury's still out on that issue as I don't know enough about the state of bears in Estonia. But it didn't sit well with me, initially. ) And definitely live baiting is absolutely a no-no for me, such as throwing live mice at owls or the practice of tying up live goats for leopards (which was done in Bera, India in the past but thankfully now outlawed.) To cause another animal to suffer just for the sake of a photo-op is abhorrent, IMHO. The whole throwing fish to birds is also complicated. I don't even like catch & release as that seems cruel to me. Catch it to eat it is fine, but just for the fun of catching it...not so sure. Do fish feel pain? Recent studies suggest yes. But we are opening up a whole 'nother barrel of fish here (hah). I agree its a complex issue and we do sometimes succumb to double-standards. As @Dave Williams said, the more I think about it the more I realize I have been guilty...certainly I have not flinched about throwing fish to birds but I might now give it more thought. Here's an situation I recently ran across. A Facebook friend, who is an excellent wildlife photographer and one of the most conservation minded people I know, was posting many photos of feral charging horses in the Camargue, France. At first I admired the photos but then found out that the horses were being rounded up and coerced into charging through the water solely for the purpose of photo-ops for this photography group. Now, these are not technically wild animals, certainly not endangered, and probably not being hurt (although I would think they are being stressed and there is a potential there for them being hurt.) But clearly to me this counts as a "staged" photo. After realizing how "faked" these were, they lost all appeal to me. I personally would much rather know that I took a photo in a natural situation, even if its not the perfect image. I like the satisfaction of knowing I found the bird/animal in the wild, it was perhaps a serendipitous situation or maybe one I staked out, maybe studied the animal/bird behavior to know where and when to find it; but nothing was manipulated to cause it to happen. Sure I take photos at feeders, but in the back of my mind they are never as satisfying. Now some birds like hummingbirds are almost always feeder shots, but the times I've been able to (naturally) catch them at a flower I felt a much greater satisfaction. There was much talk awhile back in a Brazil trip report about the baiting of ocelots in the Pantanal for photography. As much as I'm dying to see an ocelot, I would not go to that place to do it. In that situation a) I am not convinced that this habituation is not endangering them in the long run and b) at this point, can you still even consider them wild, if they are coming in nightly to feed on bait? Half-wild? I can get nice photos in a zoo too, but its just not the same satisfaction. Just my own opinions and others I am sure feel differently. Here's a few guidelines for ethical wildlife photography by photographer Melissa Groo. She is well known here in the USA but probably not so well known overseas. She is the chair of the North American Nature Photography Association's (NANPA) Ethics Committee. here's what she says about baiting (in part): " Placing a carcass in a remote area where wolves or bears range may be fine on occasion, especially if done to help research or habitat conservation. 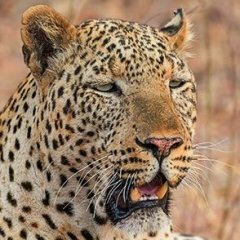 But routine feeding can lead these or other species of predators to associate people with food, earning them labels as “problem animals” that may then be killed. Ultimately, any baiting that creates risk for an animal should be avoided. " Interesting article @janzin. We have covered most aspects of her analysis except that of social media. 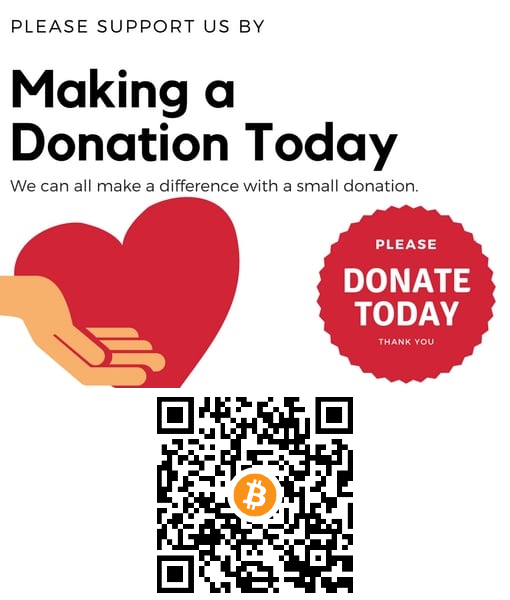 I guess just by posting this thread, to say nothing of the website as a whole, I may have added to the damage I may or may not have caused already. The internet is the source of so much information but I guess it does create extra interest in things people might otherwise ignore. My blog introduction is after all :-The trials and tribulations of a wannabe wildlife photographer. In the programme the owner of this ranch was explaining that each year licences can be purchased to hunt bears. I don't remember the exact figures but each licence was very inexpensive, the revenue raised from the selling of the licences was less than the administration costs involved in handing them out..off the top of my head $1.5m vs $2.5m ... however this faded in to insignificance compared to the revenue raised by bear tourism which he estimated was worth $80m+ to the economy. Doesn't it make sense to stop shooting such a valuable asset? On the other hand all that extra interest in bears can't be good for their environment either. The same can be said for Africa too, or the Pantanal or Ethiopia and lots of other places. I'd never even thought about visiting there until I read reports and seen pictures about them. Gosh there is so much more to this whole debate than merely feeding one or two wild animals on a regular basis isn't there. We are all guilty of damage I'm afraid unless anyone decides to say that they are an exception but they will have to be a cave dwelling hermit that doesn't use the internet so I don't think we'll have too many of them responding. We are, as has been said, all guilty to some extent. In the process of trying to get closer, I have flushed many birds and animals. Going back to the fish thing, We have been on two different boat trips where fish is thrown to white tailed eagles, the first in Skye and the second Mull.Now I think the fish are caught specifically, which is a problem-although the same fish are caught to eat by many there there is an ethical dilemma.Does the good that tourism does in Mull especially justify the death of several fish per day? do the ends justify the means? the differences in the 2 operations is that on Skye the boat trips targeted one pair-a very long living pair indeed, and threw the fish out near the eagles to see if they would come.the birds were not stressed in any way and obviously benefited from the free fish and less energy needed.white tailed eagles are quite accepting of human activity. there were several trips a day though all targeting the one pair. On Mull, i did prefer the way they did it. the boat would stop in 2 locations.Only if an eagle approached would a fish be thrown.so the eagles recognised the boat as a source of food-there were three pairs in the area and 2 other birds and sometimes they come and sometimes they dont-the boat crew said they were replicating what would happen when there was a larger fishing industry and one could even argue that the birds taking fish meant they took less of other prey-say waders .I did enjoy the trips but i was not entirely happy.a wildlife safari operator is dead against it and says it is cheating however-and one can easily see the eagles without such a trip-but he always put a sandwich down at lunchtime so that when he left, the local ravens would have a meal! As others have said, it is a very difficult line to negotiate! This certainly is a dilemma. It could be argued that feeding the older pair regularly in Skye is actually increasing their life span where if nature took it's course that pair would now be struggling to survive, thus permitting younger birds to take over the territory. Certainly the Mull version seems fairer. Realistically this is all due to our desire to get a close up view of these guys in action and in most cases attempt to get that magic shot. It is all so complex. I don't know if anyone( in the UK unless you use a VPN) saw Springwatch last night but there was some excellent underwater photography of Gannets diving for fish. The fish bait were all dead too but the majority of viewers probably didn't notice. Your boatman is probably correct in saying that throwing the fish merely replicates bygone days when we actually had a healthy fishing fleet and what was left after they had been processed was tossed overboard. I have been longingly eyeing up a pelagic trip off the Cape in South Africa and the boats there sail out to the fishing fleets where birds surround the factory ships in huge numbers. The reality for White-tailed Eagles is that they were extinct in the UK until man stepped in and re-introduced them. There are now thought to be 100 or so pairs around.More than a couple of fish are doomed each day by mans interference but on the other hand they wouldn't have been extinct in the first place if it wasn't for us! The title "Staged photographs" touched artificial perches/feeders, and more ethically problematic human feeding of wildlife. However there is also third aspect of staged photographs: posing the animal (mostly smaller like frogs) on a nice looking flower, and obscuring the otherwise distractive background with fabric or similar. Not to mention 2-3 flashes with softboxes etc. 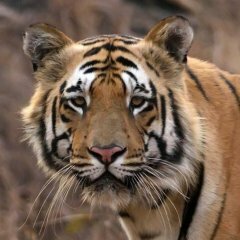 Although way less harmful or ethically wrong (to the animals anyway), it gives viewer a wrong idea of the natural behaviour of animals ... and a photographer a wrong idea of how bad his own photographys in similar conditions are vs. those fabulous ones. One often used animal for such shots is a Red-eye Tree frog from Costa Rica. What we were unaware of until we arrived was that the main trail in the Arenal National Park to walk up to the permited limit of the volcano was closed. So many more people than usual were using the Observatory lodge trails on a day pass, this meant that the area around the Falls and beyond Dante Bridge were very busy and noisy – not ideal for spotting Cotingas. We also heard that a large group of around 20 people had been disturbing leaves, using flash photography and sticking phones just inches from the frogs and had scared off all the tree frogs near the pool. That certainly seemed to be true when we went back this day and Danny reported it to the Ranger. Mind you he also mentioned using a bird caller from his balcony so what some see as bad others don't and vice versa. The whole theme of this thread! @Dave Williams please be so kind and send me a link to this report. We are due to stay there in about 6 weeks time. Hopefully that trail will be opened again. I have read/seen videos of mostly photography workshops in Costa Rica where they have arranged the whole set-up. It looked like photographers were in an open studio. Of course photos were amazing ... but not what one could get in the natural environment. Indeed I admit that only from the hide/blind one can get close enough to birds to get better photos. Yet using hides/blinds is not good when wildlife is lured to them by food. Maybe not that bad with birds (smaller) , but meat-eating animals should not be attracted. We did actually notice that immediately. You are right the spectacle was amazing but not sure what I thought about using the dead bait. Surprised it wasn't commented upon by the presenters. Personally I really don't like the multi-flash setup they use for hummingbirds in these photography workshops. The photos look really fake. We were at the Canopy Lodge in Panama and wondered why there were so few hummers at the feeders. They told us that a few days prior a photo group had been there with the multi-flash setups, and most of the hummers got scared away by all the activity and it takes them awhile to return. Maybe another fine line, but surely nobody would go to the trouble of building a hide where there isn't something special/specific to attract birds or animals? In all hides I have used, birds are attracted by food, even if that food is not specially provided. Also, I see little ethical difference between providing food for seed-or-fruit-eaters as opposed to meat-eaters? As long as it is done in such a way that the animals do not find out where the food comes from? Surely a little treat of a jar of honey once in a while can't be a bad thing?